What do you do when you’re a stranger in a strange city, and the place you had in mind for dinner is “complet, complet, complet” (French for “fully committed")? Start walking, look for a restaurant full of locals, not tourists, and most importantly, follow your nose. 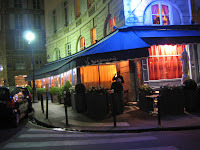 The scents of garlic and stewed seafood wafting out from La Mediterranée, a charming restaurant tucked away on the quiet Place de l'Odeon, were promising enough to make me forget my original destination, the complet seafood place 21, which is supposed to be the new cool thing. 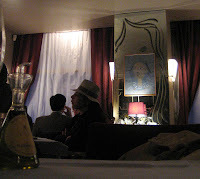 But the atmosphere at La Mediterranée is much livelier, with its bright murals, its paintings of Jean Cocteau (who seems to be the patron saint of this restaurant), and its groups of Parisians speaking quiet but emphatic French. 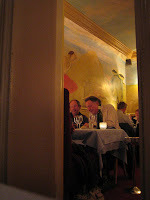 The menu diverges from traditional French territory and into nouvelle cuisine that evokes Greece and Italy. Olives, cucumber, pine nuts, red pepper flakes, and a fresh bay leaf decked the iridescent skin of sardines crues. 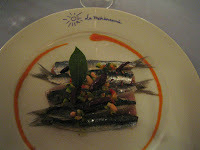 Raw sardines rarely appear on any American menu, maybe because filleting and deboning these tiny fish is too trying. In the raw, their strong fish flavor is akin to mackerel but even more oily. Verdant olive oil balances out the fishiness, and pine nuts were an uncannily intuitive accompaniment. They are to nuts what sardines are to other raw fish: delicate, slightly more herbal, and without any of the harshness of the bigger guys. Although there are always new things to explore, one of the goals of a culinary trip to Paris should be to try classic French dishes here to see what they “should” taste like. The rich broth in La Mediterrannee’s bouillabaisse could be a meal in itself. Here is the source of the tempting aromas on the Place d’Odeon – garlic, herbs, a little wine, and a lot of fish that had been reduced to the flaky particles in of an opaque stew. 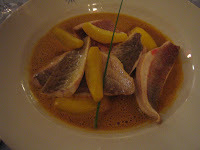 The chef doesn't go overboard with all different types of seafood but uses simple small filets of dourade and mullet, briefly fried in butter then slipped into the broth. Add to this the crostini and piquant mayonnaise sauce served alongside, and you have the perfect dish. It seemed miraculous to come across this excellent restaurant by accident. Longtime visitors of Paris complain that the food is not what it used to be. 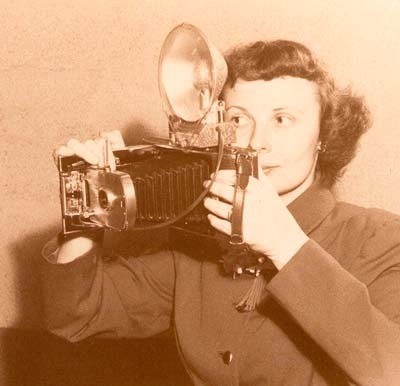 But even the most clueless of us tourists can follow our noses and hope for a happy accident.